Brief description: The main target species for eradication, the Black Rat is a mammal in the order Rodentia, whose body is 15-24 cm long, with a tail measuring 17-28 cm. Adults weigh between 130 and 300 grams. Biology and ecology: A highly adaptable species that can live in close contact with humans as well as in more natural areas. Populations not associate with humans are found in a wide range of habitats, including forests and forest edge, ruderal habitats, and rocky seacoasts. It is one of the few land mammals able to colonize small islands, including islets of less than one hectare lacking in surface water or significant food resources. Although mostly nocturnal, individuals are also active by day where population densities are high. It is an excellent climber and swimmer, and can swim across up to 500 meters of open sea. 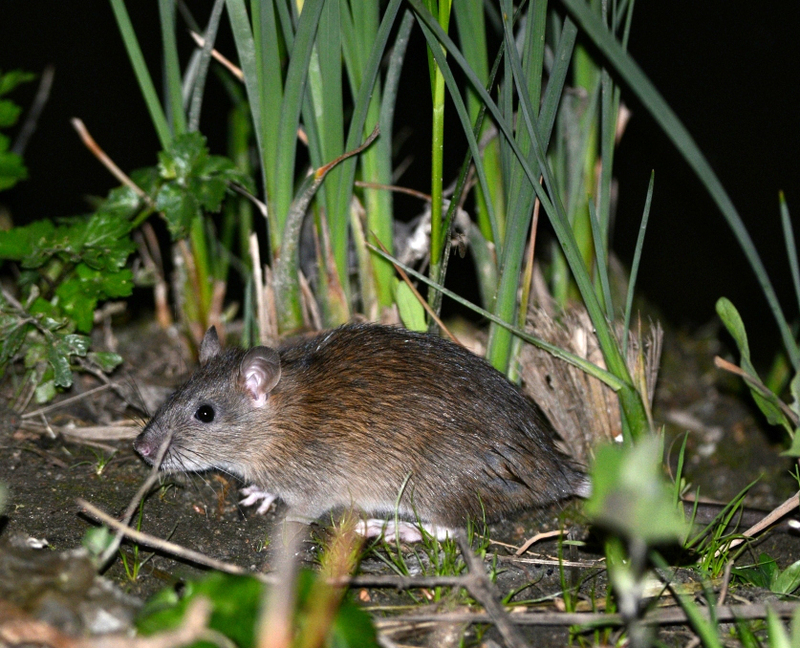 Black Rats live in family groups, and adult males – sometimes females as well - are highly hierarchical. Both sexes, especially the alpha male, defend the group’s territory, which can range from a few thousand square meters to 10 hectares, depending on the population in question. They can range widely in search of food, which they cache. They have been shown to feed on a few, well-known foods and to be highly suspicious of new ones, even when found in their home range. They are omnivorous, and the diet of wild populations is based on fruits and a variety of seeds. They also eat invertebrates, gastropods, spiders, insect larvae, eggs, and bird fledglings; they sometimes prey on other small mammal species. Breeding can take place year-round, although in temperate climes there is generally a winter pause. Females achieve sexual maturity at 12-16 weeks, and can bear a litter of 5-7 young between 3 and 5 times a year. Distribution and impact on	biodiversity: Black Rats are originally from Asia, with some authors identifying the Indian sub-continent as their ancestral range, while others place it in south-west Asia. They are now found worldwide, having been transported involuntarily by man, and occur throughout Italy, including all of its major islands and most of its minor ones. They were introduced to the Mediterranean in ancient times: although there are some isolated archaeological finds dating back to the fourth millennium B.C., most date to the Roman era, as early as the second century B.C. The species is not protected under Italian law, and is not listed in any annex to Community directives or international agreements; on the contrary, it is the target of numerical control efforts in populated areas, and of eradication efforts to protect island ecosystems. Black Rats have been proven to negatively impact plants, vertebrates, and invertebrates both on islands and mainland contexts. They are one of the main causes behind the extinction of many seabird populations, and they are the alien species that has caused the highest number of extinctions of native species and populations worldwide, especially on islands. They can cause serious damage to crops, especially fruit and tree bark. They cause major damage in urban areas and industrial sites as well. Finally, they are a reservoir for many infectious diseases affecting both humans and domestic animals.